The noise is deafening and really interfering with my Spanish comprehension of the Ecuador news. If you don't know about the Eucador news, I've posted a bunch of articles on Facebook and Twitter. Follow me! Here is the same shot at 4:00 p.m., 30 minutes after the photo above. 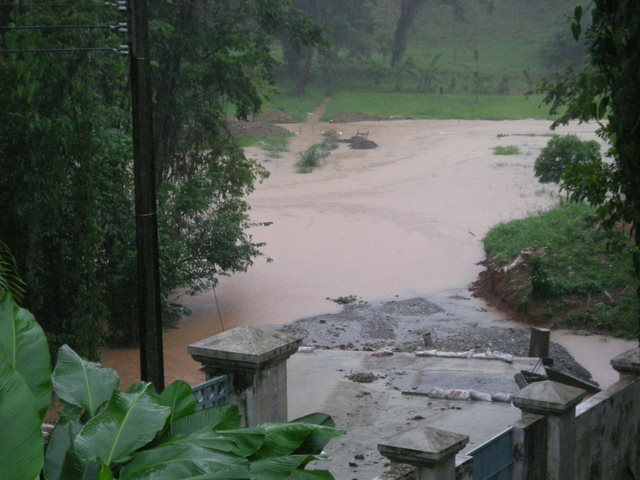 The creek is overflowing but it is much below the level of the few houses around here. It is probably more of a danger downstream. Here is the view about 4:30 p.m. The rain has slowed but not stopped. The grading that they have done for this new road is completely washed away. Luckily we discovered that our rain drain in front of the garage was stopped up before the garage was completely flooded. (Driveway is on the left of the grate; garage is on the right.) 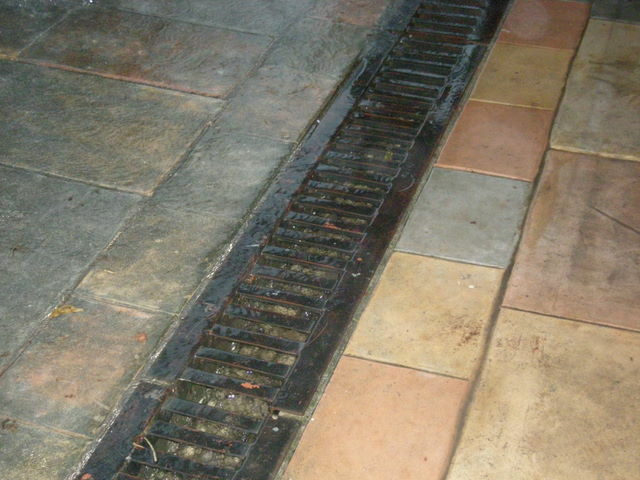 This excellently designed in-ground gutter about 8 inches deep connected to a 4 inch drainage tube has protected our garage from flooding for 8 years. We have to keep a screen over the end of the drainage gutter to keep the tube from clogging up with leaves, dirt, plastic, frogs, birds, and baby chicks. (Yes, I have pulled all of those things out of the gutter.) The water was only about an inch deep, but it had reached about two feet into the garage. If this had been at night and we hadn't noticed, I hate to think what would have happened. I haven't gone out to check the rain gauge, but peering at it from the terraza, it appears that we have had more than 6 inches, possibly 7 inches, in the past 2-3 hours. There is no doubt that downtown La Ceiba is flooded as it only takes about 20 minutes of heavy rain to do that. Update 4:50 p.m.: I spoke too soon. The rain has increased in force again. Afterthought: Those photos are a perfect example of how the flooding and mudslides are NOT natural disasters, but man-made disasters. There is no flooding or mudslides in my yard or any place else I can see from the dryness of my house. Why? Because they haven't been cleared by man of all grass and trees and all the natural protection from flooding. The area in these photos had been cleared for a new road, but are a good example of what is seen in the mountains and elsewhere in Honduras. If governments are the most common violator of human rights, how can a human rights organization controlled by the same government possibly be expected to act independently? How can President Pepe Lobo state that he respects the courts of Honduras when he has taken so many actions to push them to change decisions? 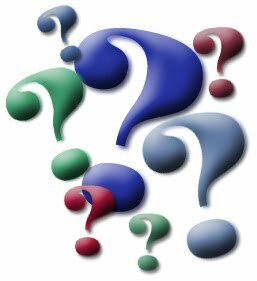 With an extremely strong anti-corruption clause in the Honduran constitution which basically says that government officials and employees are guilty until proven innocent if a person can't prove a legal source of their income and assets, why is it that NO ONE ever goes to prison for corruption in one of the most corrupt countries in the world? If the laws of Honduras don't work — basically no one is ever convicted and punished — why doesn't the Congress work on changing them to be more effective? If President Lobo, the President of the Congress Juan Orlando Hernández, the Minister of Finance William Chong Wong, and the director of the DEI (tax collection agency) José Oswaldo Guillen are aware of so many corrupt businessmen/tax evaders as they so often claim, why don't they file denuncias against those specific people instead of vaguely smearing all businessmen? Isn't that their duty as government officials? Similarly, if President Lobo has been threatened with 'pajamas', why doesn't he file a denuncia against whoever did it instead of making vague comments which cast doubt about anyone of opposing political beliefs? And why does he only mention it when he has done something questionable? It is widely stated (by Hondurans) and widely believed that Hondurans have no respect for laws. How can anyone expect the average citizen to have respect for laws which are flagrantly violated by people in power, including government officials and government employees as well as the powerful in the private sector? Why should they have any respect for laws which are only enforced against the 'little people'? If 80% of the Honduran budget is for salaries, leaving nothing for programs or actual work, what is the point of having so many employees who can't do their job even if they wanted to because of lack of funds for even the most basic supplies like gas for policemen and paper and ink for agencies who issue documents? How can Honduras expect to attract new business to Honduras when it continues to be one of the most corrupt nations in the world, has the second highest murder rate, the government expropriates property, and Supreme Court decisions are only suggestions? How could anyone believe that one of the most corrupt, wasteful, and incompetent organizations in the world — the United Nations — could investigate impunity when they can't solve the problems in their own organization? When is Cambia Ya! (Pepe's campaign slogan — Change Now!) going to start? And why did so many people believe him? Yes, it is one of those days. The Commission went to great lengths to interview many people whom they considered had important opinions to be included in the their recommendation: They interviewed ex-president Zelaya and several of his close allies, Rafael Correa, President of Ecuador and Pro-tempore President of UNASUR, a group of South American nations, Mauricio Funes, President of El Salvador, people from the InterAmerican Human Rights Commission and many other foreign nationals who have something to say about the recent events in Honduras. They also interviewed a selected few Honduran nationals whose opinion they wanted to include in their report. But the voice they want to keep quiet is that of TWO MILLION Hondurans who voted in the November election. They tried to discard this voice with remarks that the OAS did not oversee this election although they were invited and turned it down. They did however oversee and validated the election in which Zelaya won by a scarce margin and later declared that he had cheated. But the 2009 election was overseen by many reputable organizations, including representatives of the Republican and Democrat parties of the USA, several former ambassadors of the United States and other countries, who have since declared that the elections were an example of transparency and credibility. 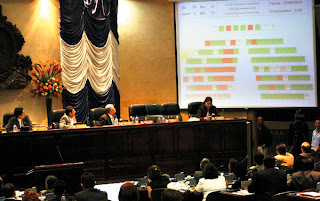 The people whom the OAS Commission decided to listen to were the same people who called for abstinence in that November election, yet it was the most voted election in Honduran history, signifying that their call to abstain from voting was insignificant and had no bearing in the result. Why, despite the calls for abstention and threats of violence by those groups, did so many Hondurans risk everything to cast their vote? The election took place on the last Sunday of November , 2009. Zelaya was elected in a similar election on the last Sunday of November, 2005 and Maduro, the President before him, on the last Sunday of November four years before that and so on, back to Suazo Cordova, the first president of the Constitutional era of 1982. Current President Lobo took charge of his office on January 27th, 2010. Zelaya took over office on January 27th four years before that, as Maduro on January 27th four years before and so on until Suazo Cordova on January 27th, 1982. All of them swore obedience to the same 1982 Constitution. The reason why TWO MILLION Hondurans, whom the OAS Commission wants to disregard, cast their vote in that election is because we wanted to tell the world that our country and its constitutional, democratically elected government remain in place, no matter what happened on June 28th, 2009. Our 1982 Constitution is still upheld by all the institutions of government and the vast majority of Hondurans (except the handful of people that the Commission chose to include in their recommendation). And if ,according to the bylaws of the OAS, the form of government that we held since 1982, established by that Constitution, was good enough to consider Honduras a Democratic country until 2009 then it must be good enough to consider it a democratic government today and there should be no more conditioning to reinstate Honduras into the OAS. Because the democratic nature of a government does not depend on who occupies which office, but on the form of goverment and the manner in which these officers carry out their duties, specifically the manner in which they respect the laws pertaining to the discharge of their duties. This does not mean that Honduran democracy is a finished product – all democracies must strive towards greater perfection – but the fact that Honduras has returned to that point in which it was before the events of June 28 should be enough to reinstate it back into the OAS. But the opinion of the TWO MILLION Hondurans, who disregarded those who called for voter abstention, is now being disregarded by the “OAS High Commission”. That voice is quieted in their report and not considered in their reasoning. Not only that, they are also requiring reforms that were not in place when Honduras was considered a democratic government and which include breaking the rule of law, punishing some while amnistying others, disolving the constitution and ending the separation of powers, which is our protection against dictators and caudillos. Honduras lived almost 20 years of military dictatorships before Argentina and the other South American countries had their own coups. Our tyrants ruled by means of a constituent assembly as recommended by the OAS Commission and as implemented in Venezuela for the last 12 years. Our constitution guarantees that we will not be ruled by a dictator again. That is why TWO MILLION Hondurans voted to uphold our constitution. 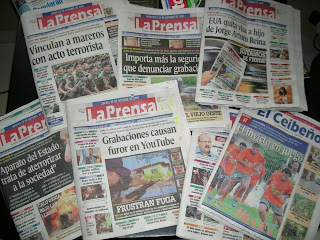 The OAS report on Honduras dated July 29, 2010 can be found in Spanish here and in English here. The attachments (anexos) not included in the report can be found in Spanish in this folder and in English in this folder. Duties of the citizen: 1. Obey, defend and ensure the compliance of the Constitution and laws. Mr. Lobo, Honduras is a country that for a while here has become the center of a dispute of many interests, none of them good to be clear. Its geopolitical position is very powerful, but unfortunately only the ones that represent a major threat to our democracy, sovereignty, integrity and legality have realized it. Hondurans knowing this, and in full convalescence from a severe socio-political process, went to the polls with the best intentions in the world to lift this country, to confide in someone that would consolidate the peace for which everybody had fought, and the chosen by the majority of people was you, on whom fell the responsibility of leading the entire nation to a safe port, where we would strengthen our Rule of Law: Free, Sovereign and Independent as it reads in our national emblem. But, you have wasted the opportunity to be a great president, and more than that, Patriot. Your counterpart Juan Manuel Santos during your inauguration said: "There are two types of statesmen that make history: those who win wars, and those who make peace." Former President Roberto Micheletti, won the war, and on top of that, brought peace to this country, and your duty would have been to keep the peace and reassure the people of Honduras. But your actions even before taking office, that the people of Honduras gave you, were to destroy the peace that we had achieved. Zelaya became your shadow, or you wanted it so, for what reasons? You know better than us. 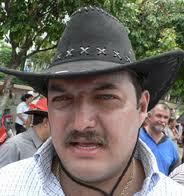 You preferred Zelaya, and his allies opposed to the interests of the vast majority of Hondurans. The citizens were in a permanent anxiety when you spoke of reconciliation and unity, it seemed that you were referring to another country, since 90% of us were united, but your interests are remote from our common interests. Now, we see with great concern the direction that your government has set, seeming to pretend to be a shadow not of Zelaya, but of the Castro Communist Regime led by dictator Hugo Chavez in Venezuela, where 28 million men and women suffer as they see their country sinking every day. You are the first citizen of Honduras, and who is supposed to give the example of civic behavior and then together build a better country. But when we see that the orders of the Supreme Court are violated, besides having an incomprehensible permissiveness to those who seek to create anarchy, so do not expect the people to support and endorse your actions away from all respect for the Rule of Law. "Expropriation? "Violation of the principle of Private Property? "Authoritarianism? No respect for the separation of powers? Excuse me Mr. Lobo, but with these features, any Venezuelan who reads this letter, will wonder if I am referring to his country, and above all the insecurity that we live daily in the streets of our cities is alarming and painful. When power does not benefit the majority, but only a few, is now no longer power but becomes a dictatorship. I know that is not just my voice, is also that of millions of compatriots who are once again afraid that ghosts of the past take over our beloved country. Rectify the course of your administration Mr. Lobo and the Hondurans will support you, otherwise, we will ensure that while your attitude is of disrespect to us, Honduras will have tomorrow, but not a future, which will be mortgaged to an imported ideology and that this humble, small but wide awake people, identifies in the distance. May God fills you with wisdom and common sense in your actions, and let you see that is in your hands to lift this worthy country, or plunge it into an unprecedented social crisis. Elena blogs at Camino Democrático and Venezuela Secuestrada. Yesterday was Honduras' Independence Day and there were parades all over the country. Hondurans love a parade! Below is a slide show of La Ceiba's parade. Click the X near the lower right to make the annoying ad go away. If you are reading this from email, click on the title to be taken to the Blogicito where you will be able to view the photos. Pineapple ice cream is tricky! When I saw chef Julia Child's recommendation to use CANNED pineapple, I knew that I had to come up with something else. Julia loved to use the best, richest, and freshest ingredients, but she suggested that fresh pineapple loses its flavor and 'perfume' when frozen, so I believed her. I live within a few miles of acres and acres of Dole pineapple fields. I can buy a fresh pineapple for less than a tiny can of processed pineapple. I'd be embarrassed to use canned, although I am starting to worry about the growing number of empty pineapple fields I've seen during the past year. First, a word about pineapples. When we bring pineapples home, generally they are mostly green and don't have much aroma at all. We leave them at room temperature for anywhere from one to three days until they are mostly yellow and have a wonderful fresh, tropical perfume. Take care that the pineapple you buy doesn't have a fermented odor or bruises or soft spots. Those spots may start molding before the pineapple is at its peak. Look for one which has at least a little yellow at the base and at least a little pineapple aroma when you smell the bottom of it. The further the golden yellow color goes up from the base of the fruit, the sweeter and more aromatic it will be. I was thoroughly confused about why almost every site I checked said that pineapples "will not ripen or get any sweeter after they are picked." After I drafted this bold statement: "Maybe I am confusing ripeness with color and sweetness, but of course, pineapples ripen and continue to get sweeter after they are picked," I decided I should check with an expert. And while I am not an expert in the area of aroma, taste, etc. I would agree that where there are many green pineapples together, there is little aroma noticeable, but as they turn color, the aroma becomes stronger. This would likely affect the perception of taste. On the plant, brix (sugar content) increases and acidity decreases over time. This process halts once picked. Picked too soon and the pineapple lacks sweetness and has an acid taste. It is a delicate balancing act to pick fruit with good brix, not too acid, but that won't bruise during shipping. I don't doubt the science, but I have to believe that the increased aroma or 'perfume' of a yellow pineapple or something has an affect on the taste to the human tongue! El Jefe, who grew up in the midst of the pineapple fields and has been eating pineapples all of his life, doesn't want to believe it either. He suggested that we do a taste test. There is no time for that now. I'll have to report on that some other time. Another tip I read was to use the pineapple the same day that you buy it. Hmmm. That may be because pineapples in the US already have several days of post-picked life. Here in Honduras, if you are lucky enough to find a fully ready pineapple, then yes, use it the same day. If you are not that lucky, wait a day or two or three until it is. A lady who used to work for Dole told me that a pineapple is ready when the bottom three rows between the 'eyes' have turned yellow. I like to wait longer for the sweetest flavor and generally wait until it is yellow about 3/4 of the way up. (Still clinging to my beliefs!) The bottom will always be the sweetest part of the pineapple. What do you think? Am I clinging to an old wife's tale or is there a difference in flavor of a yellow pineapple? I was thinking about the fact that many pineapples would have days or maybe even more than a week of post-picked life before it gets to the US, yet the pineapples I recall buying in Texas were always still green. Further thinking about the difference between my hot and humid kitchen and your lovely air-conditioned one, I'm wondering if you might even consider putting your pineapple outside in the shade during warm weather if you decide to give it another day or two. 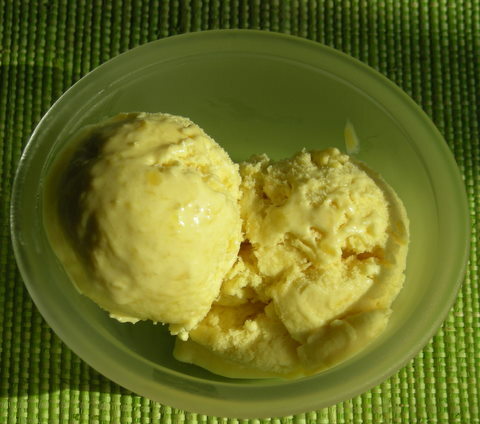 The following is the fresh pineapple ice cream recipe that I came up with. El Jefe says that this is his all time favorite ice cream, super rich and creamy with a fabulous pineapple flavor, though it does take more time than most of my ice cream recipes. One advantage, besides the great flavor, is that a large pineapple is often enough for two batches of ice cream, so the second batch will go much quicker. For a lower fat version, you could use only 1 cup of cream and make up the difference with milk. I don't think the ice cream will suffer from that substitution as it is very rich and creamy. 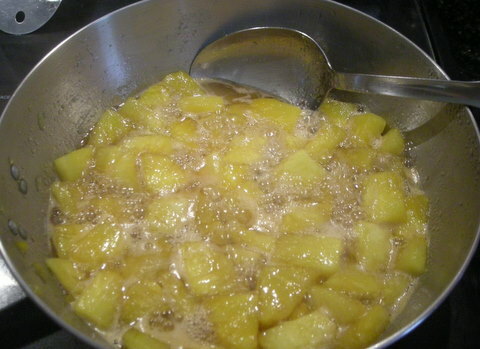 If you are lucky enough to have a super sweet pineapple, the sugar could be reduced to 3/4 cup. 2. Measure the chunks: 3-4 cups of chunks will make one batch; 5-7 cups will make two batches of ice cream. At this point, decide if you are going to process the fruit for one or two batches* (see below). The extra processed fruit freezes well, so you can save it for another day. Other options are to use the excess fruit for topping** (see below) or just reserve the extra fresh fruit for another use. 3. 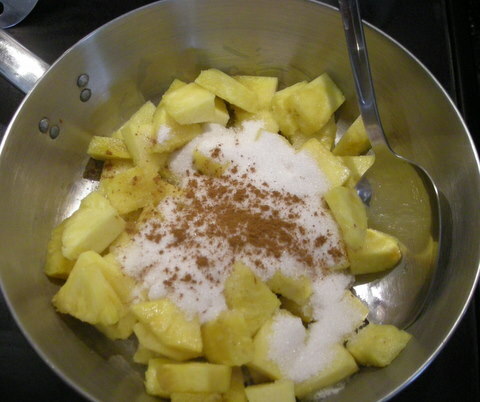 Put 3 to 4 cups of pineapple chunks into a large saute pan with the sugar and cinnamon. I used 4 cups of chunks which became 2 cups after cooking and became about 1 1/2 cups after pureeing. Simmer over medium-high heat, stirring occasionally. 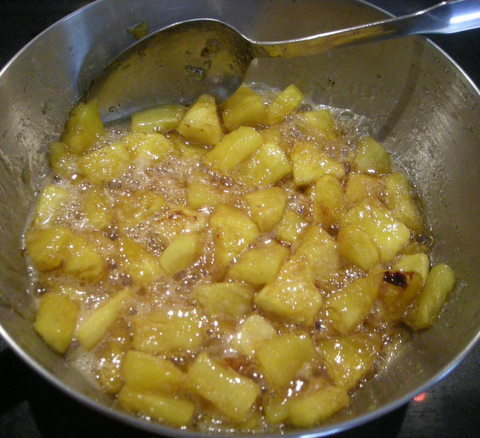 Cook until the pineapple looks slightly translucent and the sugar and juice have cooked into a thick syrup, usually about 30 minutes. Allow to cool slightly. Below are some photos so you can get an idea of what you will see. Click to enlarge any of the photos. 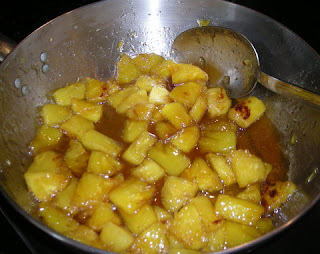 The pineapple, sugar, and cinnamon in the pan. No liquid is added. After 5 minutes, the sugar has dissolved and the pineapple juice is boiling. After 10 minutes of cooking, you'll think that you have way too much liquid. But that liquid is going to condense and evaporate, leaving an intensely flavored syrup. After 15 minutes, you'll see that the most of the pineapple is beginning to look slightly translucent and the juice is thickening. After 30 minutes, the liquid has reduced and thickened. The cooking time doesn't require much attention. Use medium-high heat so that the mixture is bubbling and just stir occasionally. Tip: Do not leave it to go outside to catch chickens. I trimmed off those browned bits. Thankfully the syrup had not burned. Another emergency came up and I had to stick it in the refrigerator. The syrup was quite thick when I returned home. 3. 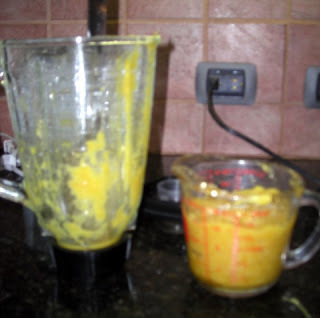 Put the pineapple mixture along with the liquid into a blender and purée. After puréeing, my 2 cups became 1 1/2 cups. 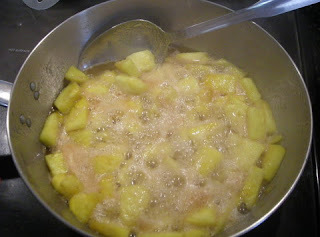 Pineapple fruit tends to get stringy in the ice cream maker so process until it is very smooth. (Do as I say, not as I do.) The cooked mixture should taste very sweet as it will taste less sweet to the tongue once it is frozen and diluted with the other ingredients. Chill the purée. 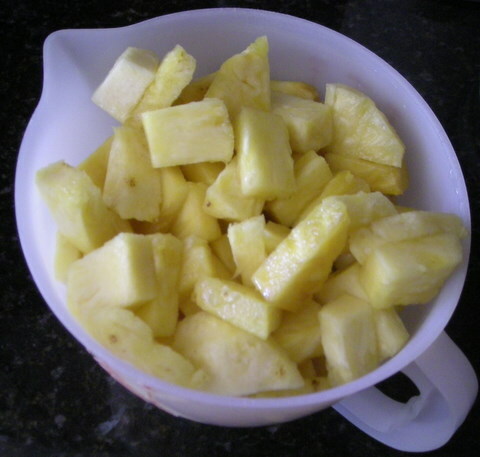 The pineapple can be prepared a day ahead of time, or longer if frozen. Since pineapple size can vary so much, you may have enough for two batches (5-7 cups of chunks). 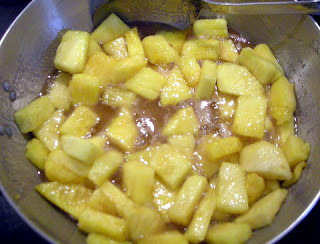 If you do, add about 1/4 cup of sugar for each additional cup of pineapple chunks. After cooking, put about 2 cups of cooked fruit at a time into the blender to purée thoroughly. Divide the purée into 2 containers of about 1 to 1 1/2 cups each. Chill one batch for your ice cream and freeze the other for another day. Using any excess pineapple for ice cream topping is tricky. I have roughly chopped (in the blender) some of the cooked pineapple for topping and El Jefe likes it, but it is too sweet for my taste. What I'm going to try the next time I have extra pineapple (but not enough for two batches) is to reduce the amount of extra sugar, spoon out some of the chunks after about 15 minutes of cooking, and drain them thoroughly. I think that may lock in the flavor without sweetening the pineapple too much. Alternately, you could just reserve a few cooked and sweetened chunks for garnish. Using fresh pineapple chunks for topping doesn't work very well as the fresh pineapple tastes very acidic and flavorless compared to the ice cream. 4. Beat the eggs for 2 minutes with a wire whisk. 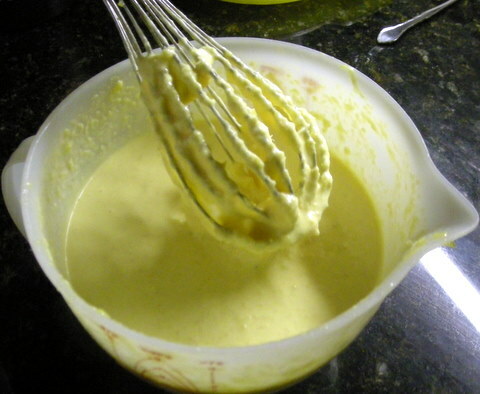 Whisk in the cream and 1 to 1 1/2 cups of the sweeten pineapple purée. Add 1 to 1 1/2 cups milk, or enough to make no more than 5 cups of ice cream mix. Of course, alternatively you could make a cooked custard base with the milk and eggs. 5. Chill the mix thoroughly (1 to 2 hours) in the freezer, stirring occasionally. When the ice cream begins to freeze around the edges of the container, stir in the frozen bits for a few seconds, turn on machine, and pour mix into your machine. Follow your machine's instructions for freezing. If you can stand waiting, let the finished ice cream firm up in the freezer for an hour or two. Serve topped with excess sweetened fruit or purée, if desired. See also my ice cream making tips, the raw egg controversy and alternatives, and, if you are in the market for a machine, my ice cream maker reviews. All of my ice cream recipes can be found by clicking the "LG recipes" topic in the sidebar or below. Today is a sad day for Honduras because of an unimportant dispute — does it really matter if the government or Teleunsa broadcasts on Channel 8 or another channel? Not really. What does matter is that the courts definitively decided that Teleunsa had legal right to Channel 8. In fact, Teleunsa had been billed (and paid) for its use in March 2010 by the government regulator, Conatel. But the Congress took it upon themselves to be the final arbitrator of justice in Honduras. According to the Honduran constitution, the government is exercised by three powers: Legislative, Executive, and Judicial, complementary and independent and without relations of subordination, each with their specific duties and responsibilities. I saw that this is no longer true yesterday as we watched the entire four hours of congressional proceedings. While many of the congressmen made me proud to be a gringa-catracha, certain members of congress showed their complete lack of respect for the separation of powers and the laws, and chose instead to play on emotions and claim to be "defending the rights of the pueblo" against a greedy businessman. Unfortunately, as the old saying goes, in Honduras, lead floats and cork sinks. President Pepe Lobo and his spokespersons have stated that the court overstepped it bounds, yet the congress overstepped its bounds by overruling a supreme court decree. The President has chosen and the Congress agreed to honor a subordinate law, resulting in violation of the separate but equal powers granted by the constitution. The final word on any legal issue now comes from the presidency, not the courts. The President of the Congress, Juan Orlando Hernández, went so far as to say that if they were making a mistake with their vote, someone else could correct it, implying that those congressmen who objected on legal and constitutional grounds were making much ado about nothing. Many of the uneducated in the pueblo have bought the emotional propaganda — a rich guy was trying to take something away from the people. They don't know the legal background or realize the long reaching effects of this decision. They may believe that things have always been done this way when it's convenient and they are probably right about that. However, many others, who do think past the current moment, realize that this single decision could have a long lasting detrimental effect on the already devastated economy of this country. Manipulating the views of the masses is a lot easier than those of potential investors. At the last minute, the government propaganda adopted the use of the term 'migration' to be used in place of 'expropriation' as the media had been calling the action. They are merely 'migrating' Teleunsa to a different television frequency, perfectly reasonable and legal, they say. Perhaps they will feel differently in 2014 if a new regime 'migrates' all of the nacionalista-friendly channels to the far end of the spectrum where the majority of the (poor) population without cable TV won't be able to pick up the signals. Government spokespersons have already indicated that they have a need for more channels. So now we know how it really is in Honduras. The President can rule by decree. The Congress is subordinate to the wishes of the President. The President and Congress can pick and choose which Supreme Court rulings can be disregarded. Justice can be decided by the Congress (or more accurately, the ruling political party) if they don't agree with the justice doled out by the courts. Most importantly, political affiliations are more important than either the laws, the balance of power, or the constitution. A prospective businessman might presume that if the "pueblo" wants, needs, or thinks it deserves his property, it could be taken, just as Hugo Chávez expropriates property and media of anyone who "offends" him in Venezuela in the name of the "pueblo". "The eery feeling in Honduras under Lobo is of a “dejá vu all over again”. Lobo misunderstood the lesson from June 28 last year. Instead of learning that nobody is above the law not even the president, he understood that a president is an elected modern-day king. Why did he get it wrong? Simple. The international community reacted as if the president is a modern-day elected king, and that’s the lesson he learned." I'll be watching the news to find out if the court will roll over and submit to political powers or whether criminal actions will be filed as they were against the Conatel officials in 2008 for disobeying their order. Imagine the ruckus that would cause in the international community. I'll also be watching for an announcement from the US Embassy, since both of Asfura's cases were included in their annual Human Rights Reports in prior years. Blogicito: a 2008 article about the kingdom effect, A Vicious Cycle. I readily admit that I was foolish enough to believe that the politicians had learned a lesson and that this time would be different. Maybe you have to be a regular reader of Honduran news to appreciate the joke, I don't know. In looking over all the issues I've brought up recently, I think I need to do the same to get you up-to-date. Put any spin on it that you want — Honduran President Porfirio Lobo is trying to expropriate a privately owned television channel by presidential decree and is using his political clout to ensure it passes congress, no different than Hugo Chávez in Venezuela. Conatel (the Honduran governmental authority over such things) refused to grant Channel 8 to Elías Asfura and his Teleunsa company, not on the basis that he didn't qualify in any way but by saying that use of Channel 8 "would cause interference with Channels 7 and 9". Conatel was led at the time by Rasel Tomé, one of Zelaya's right hand men. Like Chávez with his Channel 8 in Venezuela and Daniel Ortega with his Channel 8 in Nicaragua, former President Zelaya wanted his own propaganda channel, so he took it. Asfura went to court and won. The court cited Tomé's own statements as proof that the excuse was not valid. Zelaya's government took the case to the appeals court and Asfura won again. 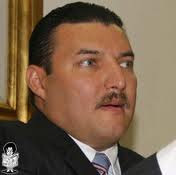 Zelaya then took the case to the Supreme Court who again confirmed the verdict in favor of Asfura.The denuncia (complaint) was originally filed in 2006, the first verdict was May 15, 2007, and the final decision by the Supreme Court was May 20, 2008. After two years of court cases, still Conatel refused to turn over the channel and Zelaya kept it until June 28, 2009. Virtually the same thing happened to Asfura with Channel 12, indicating that politics or something else is going on here that we don't know about. Asfura's company Eldi applied for Channel 12, met all the legal requirements, and again Conatel refused to turn over the channel. Instead Conatel gave the channel to Televisora de Honduras, a Rosenthal company and strong Zelaya supporter, who applied for it after two successful court verdicts had already ordered Conatel to turn over the channel to Eldi. After years of court cases, Channel 12 was finally turned over to Asfura in 2009. Both of these cases were included in the US State Department's 2008 Human Rights report (English). 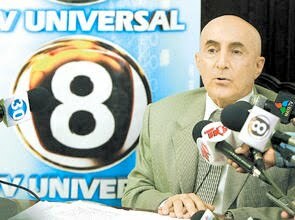 One of the first things that President Roberto Micheletti promised after June 28 was to return Channel 8 to its lawful owner. However, because of the political crisis, Micheletti asked and Asfura agreed to lease the channel to the government for a symbolic fee, one lempira per month for seven months. In the same document, it was agreed that the government would obtain another channel, which they did and they were later granted Channel 20 by Conatel. Now Lobo says that Asfura can have a different channel and if he doesn't like it, he should take the matter to court and the government will abide by the decision. A prospective investor in Honduras might ask, how many times does someone have to take something to court to get a decision to stick in Honduras? President Lobo has made some arrogant comments, such as, "Channel 8 belongs to the people, period." and "....the poor state has to submit to the appetite of some who can't be filled", referring to the fact that Teleunsa already has two channels. Lobo made several misleading statements designed to rile up the population which probably doesn't know the history of the situation or that the government has been granted another channel. He and his people disingenuously do not tell the public that the government has legal access to Channel 20. He implies that Asfura is unreasonable by not accepting a different channel, when he himself is not willing to accept another channel. The President admits pressuring the court and the President of the Supreme Court on "repeated occasions". He publicly denigrates the courts (like Zelaya did) by accusing the judges of overstepping their bounds and vaguely implies that corruption was involved in their decision. Lobo also offered to purchase the channel from Asfura, a clear indication that he recognizes Asfura's legal right. But the sound bites of the day from all of his minions are that they are merely "protecting the rights of the people". Just like Mel Zelaya, Lobo appears to think it is within his right, in the name of the people, to ignore court decisions with which he doesn't agree. Various Honduran judges have been accused in the past of corruption or being unduly influenced by politics, but the proper way to address that is legally, not by picking and choosing which court orders will be ignored. As many have asked over the past few days, what happens when the government decides it wants, needs, or is entitled to another channel, or a hotel, or a farm, or an oil company? And what happens when those decisions are based, not on the true needs of the state and the laws, but on politics or the whims of one man? What happens when those of one political persuasion are denied access to the airways in favor of friends? The answer to all of those questions is: Venezuela. Who protects the rule of law if court decisions can be ignored or overruled by the president? 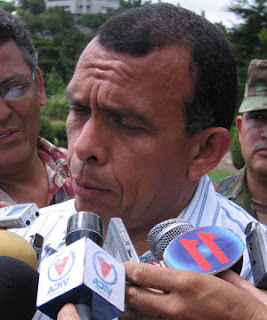 The President of the Congress, Juan Orlando Hernández, tried to diminish the situation by saying that they are merely trying to resolve an old problem, that the President and Asfura should come to an accord, but that if Asfura feels he has been affected, he should take the matter to court [again], and the Congress would accept that decision. All that put together proves, in his mind, that obviously Honduras honors the rule of law. This isn't the first time that the president and/or congress has put pressure on the courts or simply ignored their decisions. Shades of Mel Zelaya.... The president's surprise decree suspiciously came up for discussion after a lengthy session when most of the congressmen had already left. At least one congressman has claimed that there was not a quorum present. Though it was reported that the Nacionalista party voted in favor with 64 votes, some Nacionalistas were absent and some Nacionalista congressmen say they are against the decree. They are in good company, joined in condemning the action as illegal and unconstitutional by the National Corruption Agency, Association of Media Communications, Honduras' Association of Journalists, Association of Judges and Magistrates of Honduras, the Chamber of Commerce and Industry of Cortés, Association of Private Businesses, the National Association of Industries, the Human Rights Commissioner, Unión Cívica Democrática, congressmen from the other political parties, and political analysts. This is second case of expropriation of private property by Lobo's government, in violation of Article 105 of the constitution. Several thousand acres of a private producing palm oil plantation have been expropriated by the government against the wishes of the corporation who owns it. It's also not the first time that Lobo has put pressure on the courts to reverse decisions or used his clout in the Nacionalista party to force questionable actions by the congress. Hondurans are seeing the same disrespect for the rule of law and separation of powers of the state that we saw under Manuel Zelaya. One of the goals of this government is to attract new business to Honduras. The complete and continuing lack of judicial security in Honduras is going to be a huge stumbling block to potential investors when an arbitrary — and most say illegal — presidential decree can overturn a supreme court decision. Reconsideration of the decree will be discussed further in Congress on Tuesday. There is still time to do the lawful thing. Marco Cáceres' opinion piece, A President is not a monarch (in English), does not refer to current President Lobo, but the similarities are striking. 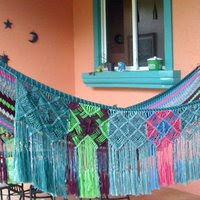 Eloy Page's blog article, Hay si! Qué Macho!! 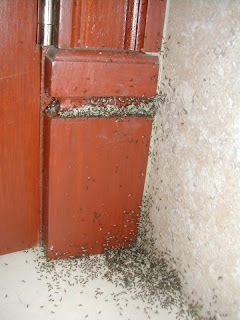 Sometimes it seems that Honduras must have every type of ant in the world. Zompopos (leaf cutter ants - photo below) are the bane of gardeners and farmers who can see a rose bush or fruit tree completely defoliated in one night. Medium-sized black ants invade the house every now and then for no apparent reason and then disappear just as inexplicably. Very large light brown ants sneak into the house and lay big eggs a couple of times a year without you even knowing it — that is, until you pull some long unused item out of a cabinet or closet and have 50 giant ants and their sticky eggs fall onto your head! Aaack! Those ants are practically indestructible. Even stomping on them barely slows them down. Hormigas locas (crazy ants) are the tiny, tiny ants who swarm around in circles inside the house and manage to get into sealed bags, boxes and containers, inside the coffee pot, into the sink drains, everywhere. I don't know if they are called crazy ants because they run around in circles like they are crazy or because they can drive a person crazy by swarming up their arms and legs while the person is just standing in the kitchen or sitting at their desk or even while they are in bed. Here is a video of a Texas variety of crazy ants so you can see what I mean. 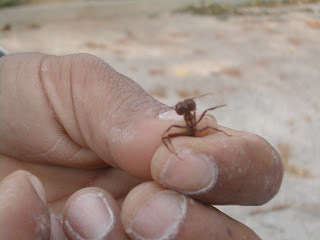 The Caribbean crazy ant is smaller. I've tried to get videos but they are just too small to show up well. I've adapted. I just pick out the ones that float in my coffee in the morning and drink it anyway. I generally have a live and let live policy when it comes to ants, unless they get really out of control, like the photo at top. After all, there are about a million ants for every person so it's not like we can ever hope to or should even try to eradicate them. Ants serve a purpose in the natural order of the universe. But the worst of all ants, in my opinion, and the most aggressive and unbearable, are the fire ants. Fire ants are the small stinging ants which have invaded the US causing serious problems to gardeners, farmers, and livestock. Originally only a tropical pest, for decades now the ants have been spreading further north in the US each year. The stings really hurt and can cause blisters that itch for several hours. With a big enough infestation, fire ants can even kill livestock, especially small animals like baby chicks. Texas has a huge problem with fire ants so I had some experience with that. For the past couple of months, fire ants have been invading the dog food dish on the terraza to the extent that the dogs wouldn't touch their food at all. The ants are really viciousness and their stings are painful. I would see the dogs frantically rolling around, trying to scratch their mouths and rubbing their face on the ground trying to remove the ants. We had to use a large potted plant saucer filled with water as a moat with the dog food dish in the center — not really a good idea during a dengue epidemic! The ants would still get into the dog food. They got so bad that I couldn't even step onto the grass in the yard without them attacking my feet and legs. My garden was a miserable place to be for the dogs, the chickens, and us. I had to take back control! In Texas, I used an organic agricultural product called dried molasses, which is actually some sort of residue from the sugar making process which is sprayed onto rice hulls or other grain residue and dried. It is inexpensive and is used for fertilizer, a livestock feed additive, and, you guessed it, fire ant control. The molasses obviously doesn't kill fire ants — they don't eat it — but what it does is to promote the growth of some sort of good microorganisms in the soil that attack fire ants. The ants instinctively know that and leave the area. Texas organic gardening guru the Dirt Doctor has a good article on fire ants. After fighting fire ants for many years in Texas and watching my neighbors use toxic chemicals — year after year after year — I know that getting them to go somewhere else is really the best you can hope for. Even Texas A & M university which strongly promotes chemical use confirms that. Texas fire ants have become resistant to the chemicals used and have adapted by hosting multiple queens in nests now instead of just one queen. 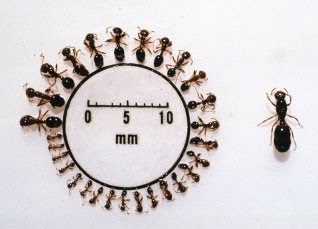 Overuse of chemicals has resulted in the breeding of super ants. Like so many other issues, this is a man-made problem. When I brought this up on our expatriate group (Honduras Living), I'm sure that some of my fellow expatriates thought it sounded nuts — and I really have to agree that it does sound crazy. But it worked! If you are in the US, you can usually find dry molasses at feed stores or organic gardening supply stores. It wasn't available here in La Ceiba that I could find. Out of desperation, I tried regular sugar a few years ago and found it worked as well as the molasses. In the past 6 or 7 years, we've treated for fire ants three times, so it isn't something that you generally even have to repeat every year. But then, I don't have a lot of neighbors using chemicals either so that could make a difference. Another thing to consider is that most Honduran sugar is less refined, less white, and sometimes has a slight molasses flavor to it. We sprinkled the sugar lightly on the soil, grass, and mulch all over the yard, including in the built-in jardineras (planter boxes), under the bushy plants, on the compost, on top of the soil in potted plants. You need to treat every single area outside except solid surfaces like concrete or tiled areas. Amazingly, it worked instantly. I walked out in the garden just minutes later and not one single fire ant stung me. Even I wasn't expecting instant gratification. Now a week later, still not a fire ant in sight. Not in the dog food, not anywhere that we can see (or feel!). The ants have gone on to terrorize other areas. Arexy and Jorge, our current occasional yard helper, were very skeptical. I recommended to another gringa that if her neighbors asked, to tell them that she was using a highly toxic chemical, not sugar, in order to gain approval. Otherwise they would think she was crazy! This time we used an old small hand-held grass seed/fertilizer spreader that holds about 1-1 1/2 pounds of sugar. It worked very well on the finest setting, but you can just throw it around by hand, too. In total we used about 5 kilos of sugar (about 11 pounds) but we have a pretty big yard. I wish I could be more exact, but it doesn't take much. When spreading it around, you shouldn't see it covering any area — think of it as similar to very lightly salting your food. The key is to get some sugar everywhere. We had a heavy rain that night, so rain or watering will not wash away the effectiveness. I can't guarantee that this will work for you, but if you have a similar problem with fire ants, it is definitely worth a try. You don't have to worry about your kids or animals being exposed to (or eating!) chemicals. It's cheap compared to chemical methods and easy to give it a try. I hope that you will let me know if it worked for you. Good luck with those ants! "Woman, someone needs combat the mosquito!" "Be tranquil. Let the government come!" As of week 31 (August 12), in all of Central America, 75% of the total deaths from dengue had occurred in Honduras, and 50% of the total deaths had occurred in Tegucigalpa. Comparing Honduras [~45,000 cases] to its neighbors, Costa Rica has had only a little over 17,000 classic cases, the same as El Salvador. 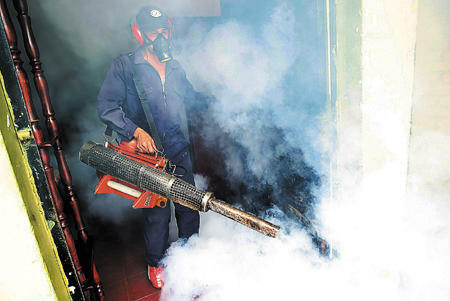 Guatemala, with almost double the population of Honduras, has had only about 7,500 cases of dengue clásico, 104 cases of DH and 15 deaths. Honduras represents about 18% of the Central American population. 1) There is little or no personal responsibility among many people. Like the cartoon above indicates, every problem is somebody else's responsibility. 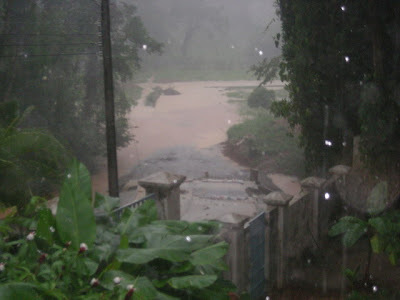 Most Hondurans know how and where mosquitoes breed (in standing water). The dengue mosquito (Aedes Aegypti) does not travel far in its lifetime. On every authoritative website I've read, the number one effective recommendation to prevent dengue is to clean up trash and any receptacles that hold water on your own property. A common breeding ground is among plastic rubbish that holds water. With nothing more than some trash bags and a few machetes, shovels and rakes, neighbors could work together to eliminate breeding grounds in their colonias. But very few neighborhoods take those simple actions that they could take to make their areas a little safer. To sit back and expect that any government can or will clean up every neighborhood is unreasonable; in Honduras, it is just plain stupid. 2) Actions taken by the government are expensive and ineffective. 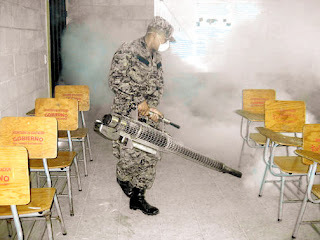 The manner of fumigating (thermal fogging) is scientifically one of the least effective methods and most enlightened governments have discontinued its use. I liken it to running down the street with a fly swatter trying to rid the world with flies while ignoring the garbage pile breeding flies in your backyard. Experts from the US, the Pan American Health Association, and possibly other organizations have been here to analyze the effectiveness of Honduras' methods and the chemicals used. 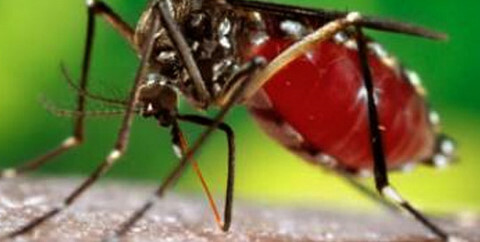 One of the issues discussed was whether or not the Aedes Agypti mosquito has become resistant. I have not been able to find that the results of those reports have ever been made public. The chemical may (I'm not even entirely sure about this) kill all mosquitoes unfortunate enough to be out and about at that exact time and in the direct path of the spray, but that's about it. Authorities have said that the spray is only effective for a couple of hours. They can't expect to be able to spray every neighborhood and inside every house (which they do!). I'd be surprised if any neighborhood ever gets sprayed twice in a year, so what happens to all of the mosquitoes that are born the next day or the day after or next week or next month? Use your head! Fogging is a waste of money. Two weeks ago a friend was in the San Pedro airport midday waiting for his flight to La Ceiba when all of a sudden white "smoke" starting coming through the ceiling vents right on top of the people sitting in the waiting area! Some people started panicking while others sat there unconcerned engulfed by the "smoke". Finally an announcement came over the speakers saying not to worry, that they were fumigating and there was no reason to leave the area as it was a non-toxic chemical. Enjoy! El Jefe had his own experience of being fumigated along with a lot of food that was sold to an unsuspecting public at a 2007 university function. Not one word of warning was given to the hundreds of students and visitors before a truck drove through the event spraying the public. On the news, I see schools, houses, kitchens, cabinets, restaurants, day care centers, dishes, food, etc. etc. being engulfed in this smoke. I even see people with happy faces standing amid the fog, pleased that their house is being fumigated. Since everyone is convinced that this chemical is non-toxic, do you suppose that anyone washes the dishes, the school desks, or the kids' toys before they put them in their mouths? Despite looking for years, I have never seen the name of the chemical used. It may or may not be less toxic, but I am 100% sure it is not being used as recommended. When was the last time you read any chemical insecticide label that said, "Go ahead and spray people and food with this"? Professors at the National University and several large businesses have refused to allow fumigation. Maybe they know something that we don't. What should they do, in my not so humble opinion? with hat in hand. Fill 'er up! 1) The government needs to stop waiting for crises before acting. Money is no excuse. It costs more to deal with an emergency than it does to try to prevent one from occurring. If they came up with a decent plan, I'm sure that the money would flow in to help them implement it. A serious educational and clean up campaign should start immediately to prevent another epidemic next year or the year after — which we all know will happen. Patronatos (neighborhood associations) should be contacted to set up neighborhood meetings. Use doctors, teachers, or others with authority to present a standard educational program to the neighbors and schoolchildren. Train the military to help organize the volunteers to clean up the colonias with the highest incidence. My guess is that those educational programs as well as programs for school children have already been developed in other countries. Don't reinvent the wheel when there is no need to do so. 2) The government should do some scientific research. I don't mean set up a commission of 'notables', hire million dollar consultants, or task the universities to develop "new science". Collaborate and find out what has worked in Central America and other tropical countries and use the best of those methods. Don't be so arrogant as to think that the way things have been done here are the way they have to be done forever. If it isn't working, admit it and change it. It wouldn't surprise me one bit, nor I'm sure most Hondurans, to find out that the chemical used is not because anyone even thinks it is effective but rather because someone made a dirty deal with someone else for the equipment and supplies. 3) Promote the simple, natural things that people can do at no or very little cost, but again, investigate before you recommend them. 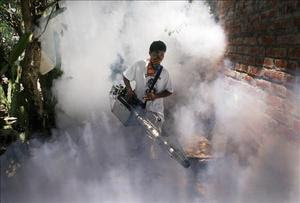 We use more chemicals than ever before and have more dengue than ever before so what does that tell a logical person? There are some plants and herbs that when used properly, work pretty well for repelling insects for those who can't afford DEET, and most people in Honduras cannot afford it. Australia had success by encouraging children to place a certain type of water bug which consumes the mosquito larvae into their water storage containers (pilas)! But don't invent ridiculous things that have no scientific basis. When I see so-called experts on TV suggesting that sticking cloves in a cut lemon and setting a couple of them around your house will prevent mosquitoes, I just want to scream at the stupidity. Better to spend that limited money on a trash bag and use it. 4) The government and/or municipalities should take responsibility for the things that individuals can't do anything about, like potholes that hold water, non-existent trash pickup in many poor areas, water systems that constantly leak, and sewage systems that don't drain causing permanent swamp-like conditions in some neighborhoods. But here again, if the government doesn't do it, the people have to do something. That can be as simple as borrowing a shovel and filling up a hole or digging out a ditch so that it no longer holds standing water. It can be done and it doesn't take an epidemiologist to do it. 5) The municipalities should consistently and fairly enforce the laws already on the books about maintenance of private properties. They should increase the fines so that they can afford to enforce them. This should be looked upon as a break-even activity, where the fines imposed are enough to pay the inspectors' salaries and the clean up crews. No one should have the right to put their neighbors at risk because of their own negligence. This wouldn't be a popular move, because as El Catracho wrote [Google English translation], he places much of the blame on the municipalities for lack of trash pick up and street repair. He believes that the income from the fines would be used to finance political campaigns. El Catracho also believes that this would be an unfair burden on the middle class and businesses, since the poor can't pay and the rich and important will never be fined. Please don't think that I have no sympathy. Like almost everything else, this affects the poor more than anyone else. Seeing the heartbroken, sobbing parents who have lost a child on television brings tears to my eyes. I'm angry that people go through this year after year, especially because it is so darned unnecessary. The government needs to reevaluate and stop being so stupid and arrogant. Obviously, they do not know what works or do not have the will to make it happen. And citizens need to realize that they have responsibility, too, and that since the government cannot protect them, they need to take steps to protect themselves and their children, even if it means that they spend a Saturday or Sunday every now and then cleaning up their own neighborhoods. Will any of these common sense steps be taken? Because this is Honduras and that is how we do things here. Corruption and incompetence invade every aspect of life. For any solutions that you or I could come up with, I can tell you how corruption could overtake the process preventing success. A hundred times more effort would be put into figuring out how to rip off the government or aid funds than would be put into doing something that works. That is true from the top levels of government all the way down to the people who are supposed to be helped. Oh, there are exceptions, but not enough to make a difference. If, for example, the government was to provide trash bags for clean up campaigns — because there are people who actually cannot afford to buy a trash bag — first a lot of political hiring would occur. They would need nice offices and cell phones and cars. Then the person in charge would set up a fake bidding process in which he would give the contract to a buddy in return for a kickback. The now expensive bags might sit in a warehouse until they deteriorated or maybe they would already be of such low quality that they are virtually worthless. If the bags were delivered to the towns, probably the mayor or other city employees would divert a bunch of them and they would show up for sale somewhere. If the bags made it to the colonias, you'd probably see the patronato president and his friends with nicely bagged trash for the next months or see them for sale in the neighborhood pulpería. But, we would be treated to a special press conference in which a smiling president or minister of health would be personally delivering the bags to a mayor. Oh, and I forgot to say that the extra expense of having the bags printed with someone's picture or a political party emblem would undoubtedly be incurred. The number of cases will diminish and not so many people will die. There will be no research, no plans for the future, no effective educational programs. Oh, there might be some million dollar program with a bunch of unqualified, highly paid political appointees from which all the money will disappear. 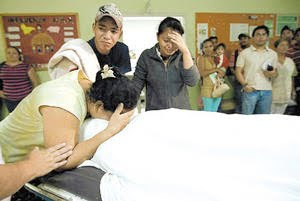 The government and the people will forget that dengue exists .... until the next time when we will again see the authorities waiving their arms in the air and lamenting all the deaths and the lack of money to do anything about it, and begging for help from your tax dollars. The people will be clamoring for the government to fumigate their neighborhoods and kitchens, and the newspapers will be asking where all the money went. Or too realistic for comfort? Check back in a couple of years.